Warriors finish 2nd in their pool on Saturday and advance to Gold. Almost grab a Semi-final, but end up on the short end of 25-21 & 25-23. A heart-breaker! Chaos goes 2-1 in pool to advance to Gold at MVSA on. They finish the day as Gold Semi-finalists. Nice job ladies and coaches! Platinum brings home a First in Silver at Md. Jrs! The girls hung in there to take a three set final. Way to go! Impact ends up 5-1 in pool to make it to Gold at BAVA Sunday. Wrapped up play as Gold Semi-finalists after pushing Louden to a 3 setter. Voltage finishes 2nd in pool to advance to Silver. A tough 2-set semi-final loss to MVSA (26-24 & 25-23). Some GREAT play today ladies! Heat had a rough day at Columbia, but put up a good fight against a solid Baltimore Elite squad to end the day as Silver Semi-finalists. Another Great weekend for the Club! Voltage wins GOLD at Bo AND Inferno put up a solid fight to finish as a Gold Semi-finalists. Impact wraps up the Rumble as Silver Semi-finalists in OPEN. 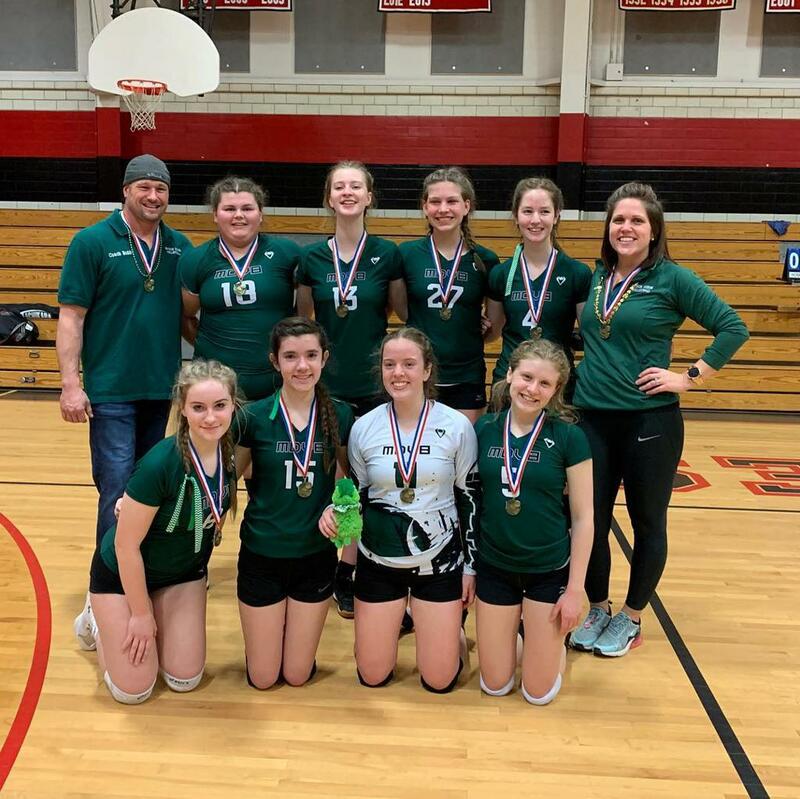 Warriors take 2nd in GOLD at MVSA. 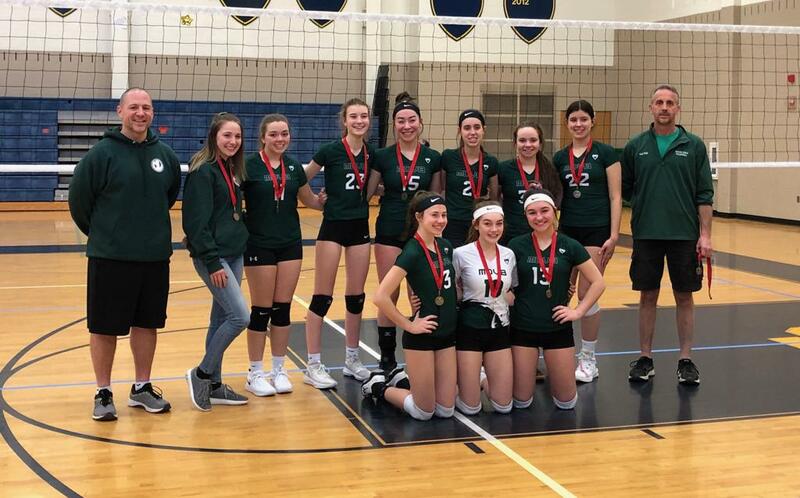 Voltage wins GOLD at home on 3/17! Great job ladies, coaches and little sisters! 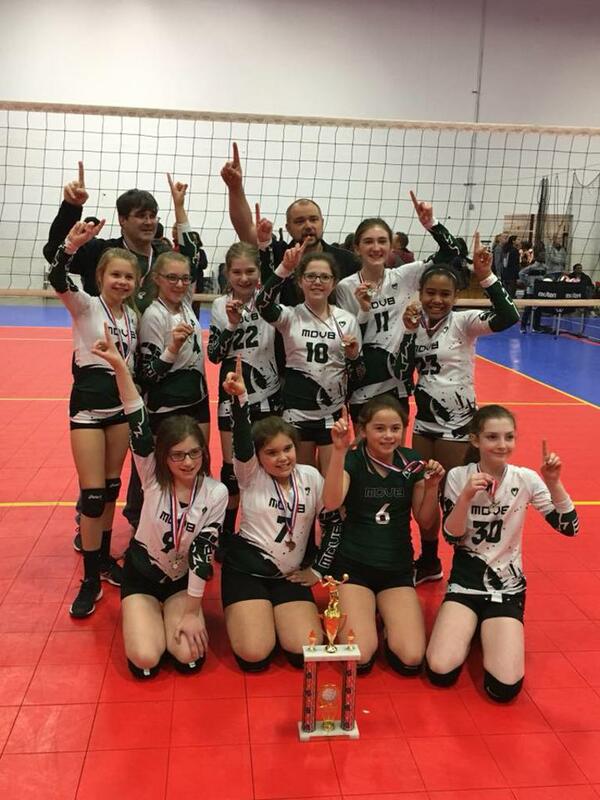 12U Warriors capture 2nd in GOLD at Discovery on Sunday! Strong showing from the club this weekend. 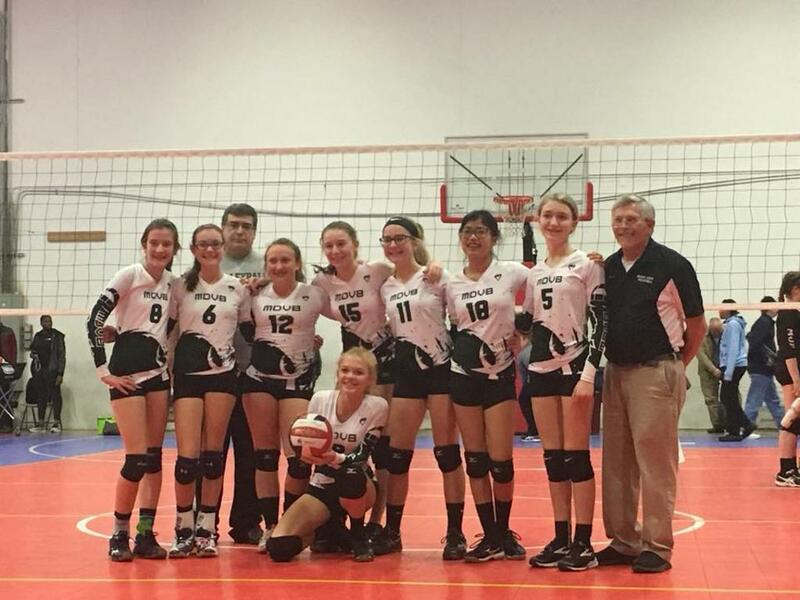 Along with Inferno winning the Silver Bracket at B'more elite the club had a great weekend! Warriors finish as Gold Semifinalists at Spooky Nook. Chaos takes 2nd in Silver at Vienna Elite. Platinum wins the Silver Division at B.A.V.A. 12U Warriors and 15U Impact head north this weekend. Impact plays a two day'er at York, while the Warriors are at Spooky Nook for the February Freeze. 14U Chaos hopes to have another strong showing at Vienna Elite, while 14U Platinum heads to A.P.I. for a BAVA 14/13 mixed. 18U Heat is off to Jessup for an MVSA Invitational. Great 12U tournament at Newark Charter High. Awesome venue that was incredibly convenient for all of our participants! After a slow start in pool play the Warriors showed their spirit to win the Silver bracket. Some incredible 16U competition at Bo on Sunday. Inferno and Voltage ended up facing off in the Gold Semi, with Votage moving on, only to lose to a tough Maryland Exclusive squad. 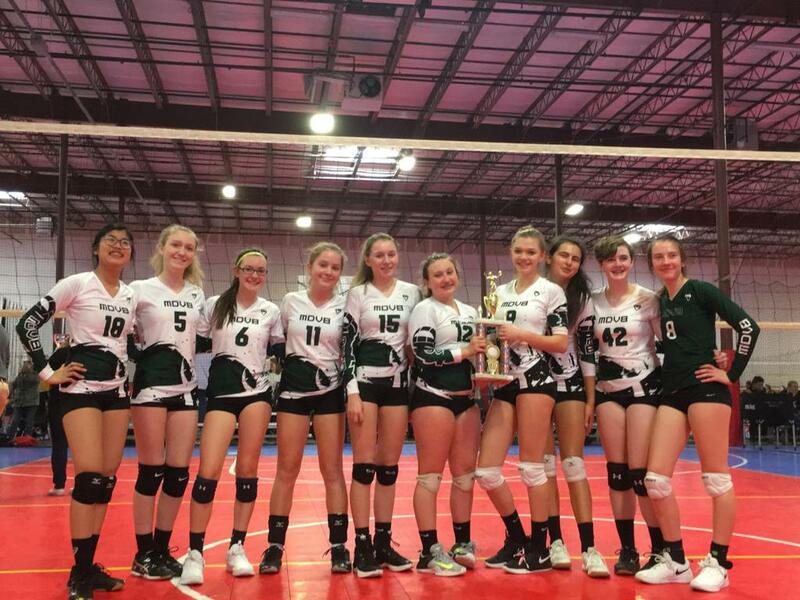 Impact traveled to Jessup for a 16 squad mixed tourney on Sunday, and came home as the Silver champs. Great job to all our our tourney participants and Congrats to Warriors, Inferno and Voltage on their solid performances this weekend! 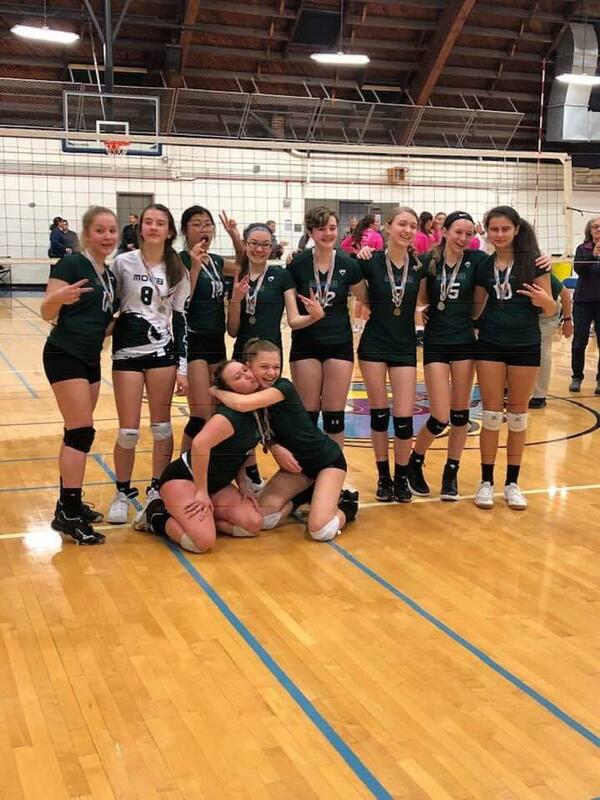 Mason Dixon vbc has always been committed to providing the opportunity for young women to develop their skills, learn the value of teamwork and to compete. We have been fortunate to have developed strong relationships with CHRVA and our Cecil & New Castle Co. partners to allow us the opportunity to host events. This info is provided for your convenience so you know what to expect when participating in our events, our venue info and some of our "ground rules" when participating in a Mason Dixon Tourney. Thank you for your commitment to youth sports and your willingness to help develop strong, confident and team oriented young women! WE will be ALWAYS be stronger than ME. Our regular Home Tourney site is Bo Manor High. Due to school conflicts we may utilize other facilities in Cecil, or New Castle (DE) locations. Inferno wins the Silver Bracket @ B'more Elite! Welcome to the fun(?) part of tourney season! 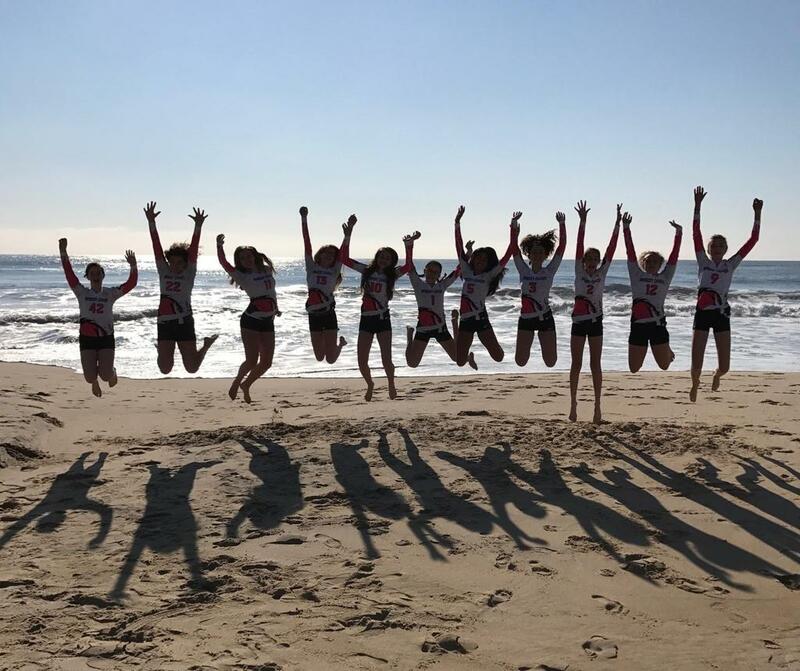 Heat and Platinum kicked off their seasons with solid performances, while Chaos and Inferno settled into their seasons at Bo and B'more Elite. After a slow start in pool play Heat came on strong Saturday at Md. Jrs. in the Bronze bracket taking the number two spot among 16 squads at Md. Jrs. Chaos forced a three set semi-final in Gold at Bo Manor. A hard fought loss against a solid SRVC team. Platinum advanced to the Silver semifinal in their first tourney! Despite some scrappy play, they lost to a BAVA squad- who took home 1st place in Silver. 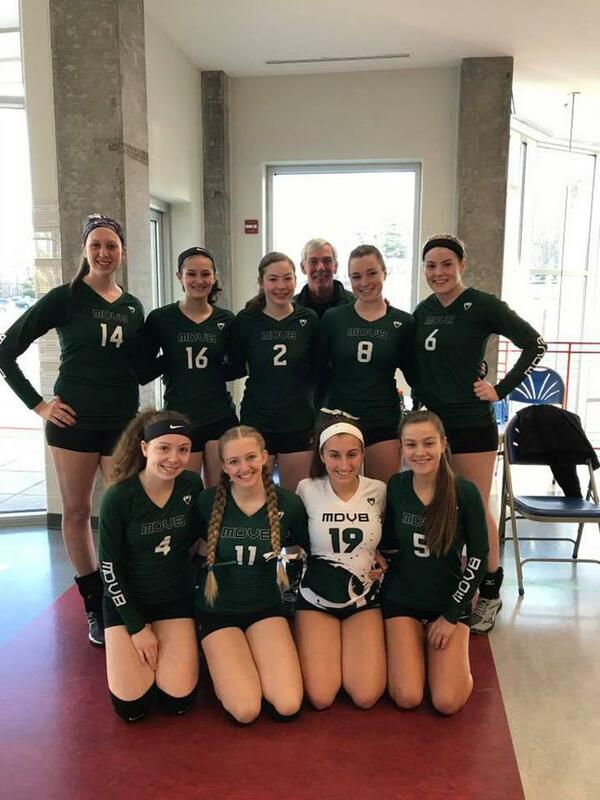 Inferno wins the Silver bracket at Baltimore Elite! Great effort and focus ladies! Heat (18U) is off to Md. Jrs. on Saturday for a 16 team tourney. Inferno (16U) heads to Baltimore Elite on Sunday. Chaos and Platinum (14U) host our first tourney of the season at Bo Manor on Sunday! Chaos takes 2nd in GOLD at Vienna Elite. Impact, Voltage & Inferno finish 1, 2 & 3 at BAVA. Mason Dixon Rocks Md.Jrs. MLK tourney! Congrats to Warriors and Impact for taking 1st place in their divisions at Md. Jrs. this weekend. Warriors go 5-1 in Matches and 11-2 in Sets on their way to a Gold Finish. Impact finishes the weekend undefeated, 6-0 & 12-0 for a 1st place finish among 16 squads! Congrats to all of the young ladies and their coaches! Warriors take GOLD at MLK! Impact takes GOLD at Md. Jrs. MLK Inv. Great start to the season at New Years Revolution! 16U Voltage finishes as Silver Semi-Finalists. 12U Warriors take Silver at New Years Revolution. 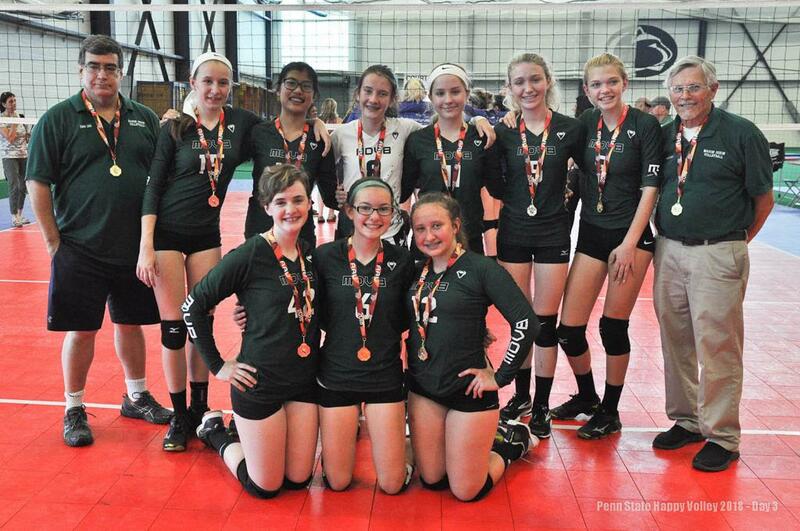 Impact takes home GOLD at New Years Revolution! ... to a great season of Fun, Family, and Competition! We always enjoy our Club meeting. It's a great opportunity to catch up with our players and parents and share our excitement for the upcoming season. We cannot wait to HIT the gym! Update your USAV status (though webpoint) to full member AND select Mason Dixon VBC as your club. Log into Sports Engine and register for your team. You will have the following payment options. Pay via credit card in full or in 2 installments. Pay via cash or check at the Club meeting on 11/26/18. Follow this link to register you player for her age level. It's ALL about the players! Our coaches and staff have finalized our rosters for the upcoming season and we sincerely regret that we were only able to make offers to 70 young ladies. We believe that every player should have the opportunity to grow and develop, AND we strive to offer them the opportunity to do so. Unfortunately, we are limited by available coaches and practice space. We are intent on offering a series of clinics after Jan. 1, to be able to work with those girls who seek to improve their skills and their volleyball i.q.- along with getting additional gym time.- Check back on the webpage, or facebook for updates. Another Big "Thank You" to our players, parents & staff! A great day for Volleyball and Mason Dixon! 118 young women showed up today and gave it their all. Thanks to our players for all of their effort. Thanks to our parents for supporting their girls and believing in the spirit of Mason Dixon vbc. And thanks to our volunteer coaches and parents who helped us all get through a crazy day! We are excited to announce the possibility of offering a second 12U squad based upon the number of interested players. We have an experienced coach who is also a parent that would be willing to work with the girls to develop their skills. Our thought is that we would practice twice per week and participate in a limited number of tournaments, based upon the interest level among the team and their families. We would pro-rate the club fees, as the majority of those funds go towards the cost of uniforms and our expectation of 8 to 10 tournaments for the season. The exact figure is yet to be determined, but it would NOT be the full club fee of $575. Registration for 18-19 Tryout sessions is now available. Follow the below link to register your player for Mason Dixon Tryouts. 12U & 14U- Check in begins at 8:30 with the tryout session taking place between 9:00 and 11:00 am. 16U- Check in begins at 10:30 with the tryout session taking place between 11:30 am and 1:30 pm. 18U- Check in begins at 1:00 with the tryout session taking place between 2:00 and 4:00 pm. 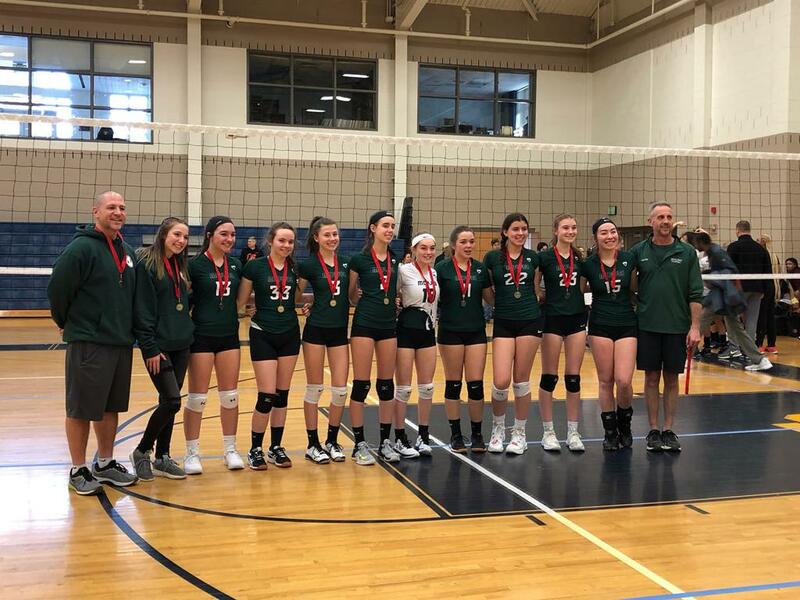 Players are not permitted to take part in tryouts UNLESS they have a valid CHRVA/USAV membership/medical waiver AND have completed an online Mason Dixon tryout registration. A big thank you from the club to all of the girls and their parents who attended our 12U tryout on Sunday. We will be hosting a second 12U tryout in conjunction with our 14U's on Sunday 11/11. A SPECIAL thank you to our older Mason Dixon girls who attended the open gym and welcomed and encouraged a number of the newer and younger faces to MDVBC. It was great to hear how surprised some of our new parents were by the fact that our girls, regardless of age, worked together as a team and supported each other. 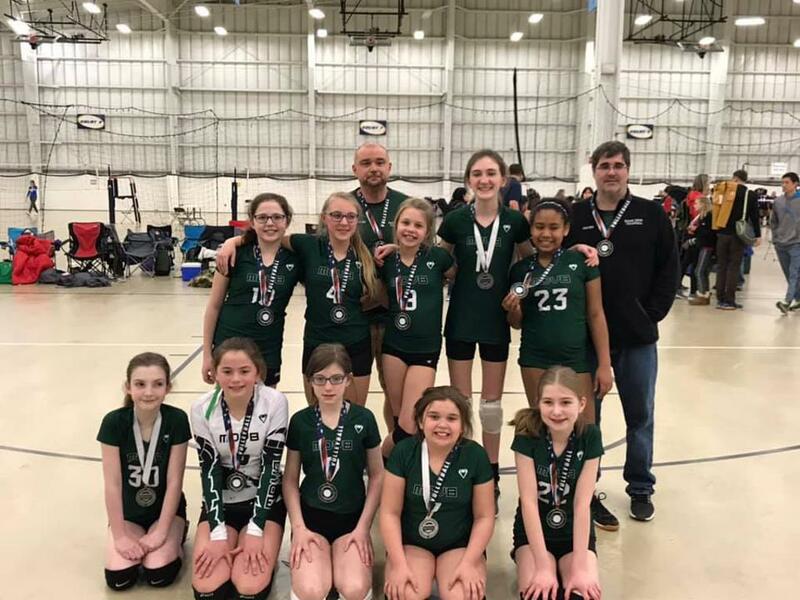 As much as MDVBC would like to take credit for instilling those virtues in our girls, we know that it's our parents and families that bring that atmosphere to OUR club. 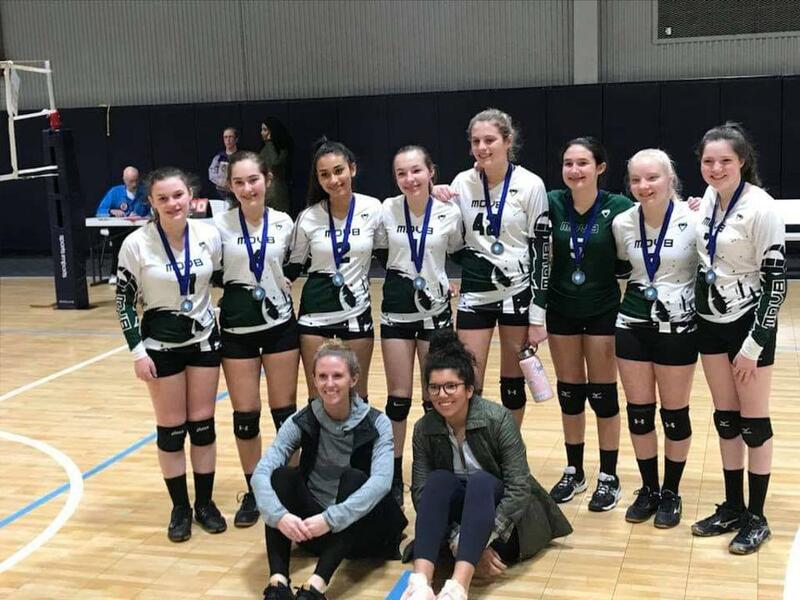 We've known for years that MDVBC is a special club, but it's always great to hear a new parent talk about their players experience- especially how quickly their young player became part of a scrimmage squad of older girls- who encouraged and cheered for each other, regardless of their age. Some things are more important than volleyball. Last week we learned that one of our previous players had undergone emergency surgery and was subsequently diagnosed with a rare form of cancer. Reena's prognosis is very positive, just like her attitude and infectious smile! If you're so inclined, please consider following the below link and purchasing a shirt, or making a contribution to help off-set the families medical expenses. Once part of the MDVBC family- ALWAYS part of the MDVBC family! We are proud to say that we are entering our 17th season of providing an affordable option for players and parents seeking a quality club experience. Our club was created to provide an opportunity for young women to learn the values of teamwork, cooperation and healthy competition at an affordable cost. 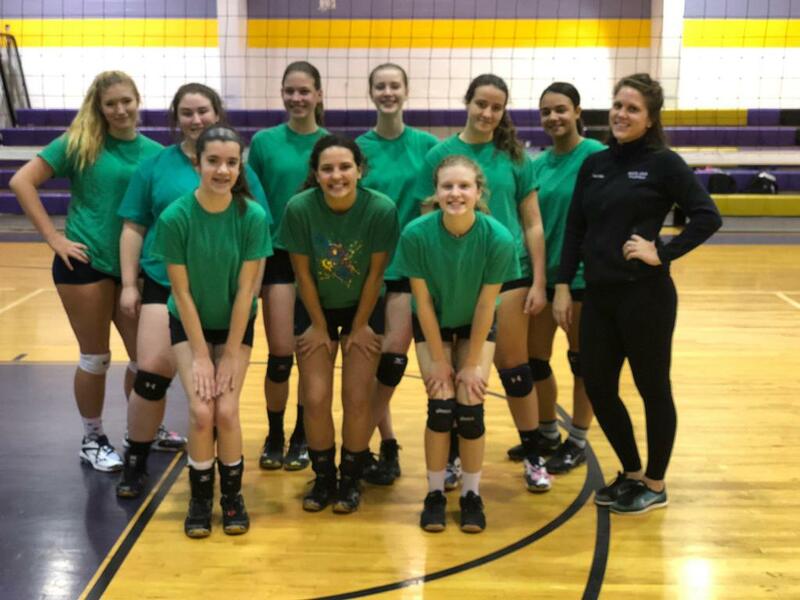 The coaches of Mason Dixon have a variety of volleyball experience. All of our coaches have several years at the Club or middle and high school levels. A number of our coaches continue to play in adult leagues, And we even have a couple H.S. and M.S. officials on our staff. Thanks to our VOLUNTEER staff we have been able to continually meet those goals. That's not a misprint! None of our staff receive any compensation for their efforts. This is the primary reason we are able to offer a quality club experience at a fraction of the cost of many local clubs. We understand that Club sports have become an expensive choice- And you as a consumer have multiple options. We would suggest you ask all of your questions before making a commitment to any specific club. We hope that some of the information here provides some insight into who WE are and what our goals are. Our teams typically participate in 8 to 10 regional tournaments. The majority of which are within a 2 hour drive of Elkton, MD or Newark, DE. * Eight to ten single day tournaments. * Practice twice per week at locations in Cecil Co. Md & New Castle Co. De. * Uniforms & warm-ups is INCLUDED in your club fee. * Experienced coaches who are focused on developing your players skills of teamwork & cooperation. How CHRVA uploads results to AES and how they will be used for Regional seeding. We look forward to meeting with our players and parents on Tuesday Nov. 20th at Bo Manor in Chesapeake City at 6:30 pm. Players and parents are required to attend, as it is the only opportunity for players to confirm sizing for our uniform orders. Our coaches will meet with their respective teams and confirm practice locations and times. The coaches of Mason Dixon have finalized their rosters. All players who participated in try-outs should have received an offer to play, or regrettably, a notice that we cannot accommodate additional players. Should you have any questions, please forward them to Ed at mdvbcdirector@gmail.com Or follow the link on our homepage. At Mason Dixon we are committed to maximizing the amount of time we have to prepare for the Club season. To that end, we have secured practice times beginning Monday Dec. 3, 2018. We will provide specific evenings (Mon. & Wed. OR Tue. & Thu.) along with scheduled times once tryouts are completed and rosters are set. We will be updating the club calendar to reflect practice times along with confirmed tournaments shortly. Providing an accessible and affordable club volleyball experience at a fraction of the cost of many local clubs. We attract players from Cecil and Harford Co's in Maryland, New Castle Co, Delaware and Chester Co, Pennsylvania. All Tryouts will be held at Bo Manor High School 2755 Augustine Herman Hwy. Chesapeake City, MD. Check in begins at 8:30 am, with tryouts to run from 9:00 to 11:00. We will host an open gym for players of ALL Ages beginning at 11:00. 12U & 14U- Check in begins at 8:30 am, with tryouts to run from 9:00 to 11:00. 16U- Check in begins at 10:30 am, with tryouts to run from 11:30 am to 1:30 pm. 18U- Check in begins at 1:00 pm, with tryouts to run from 2:00 to 4:00 pm. 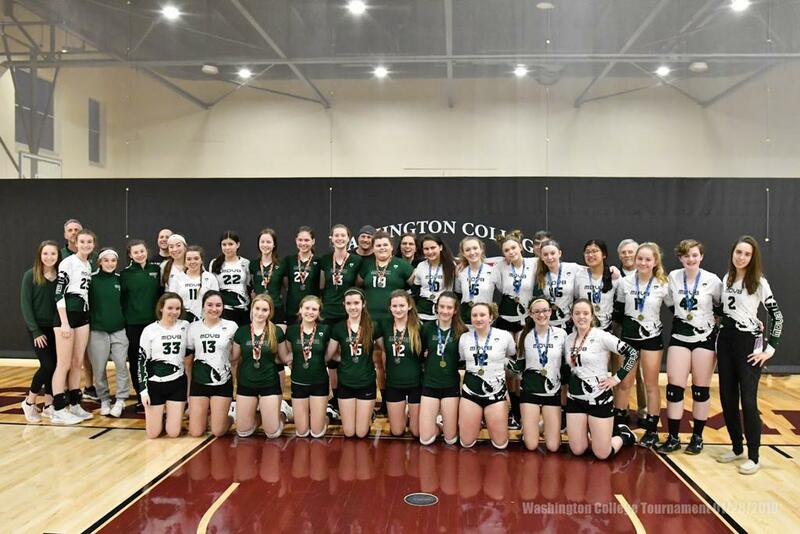 ©2019 Mason Dixon Volleyball Club / SportsEngine. All Rights Reserved.